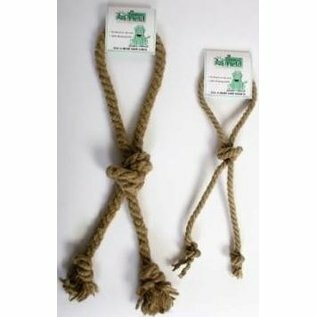 Our interactive dog toys are made with all natural, pure hemp rope. 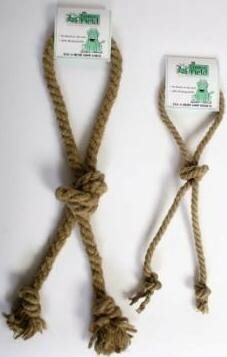 They come in bone shape and in stylish easy to handle and pull shape. Hemp is a highly renewable resource that grows without pesticides or weed killers. It doesn't require heavy bleaching like cotton. 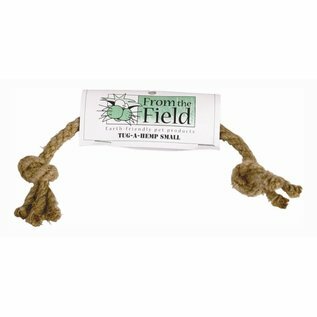 The natural hemp fibers that compose our dog toys are similar to grass, although we do not recommend leaving your dog unattended with our dog toys. Each individual dogs have their own level of intensity when chewing a toy, so they always need to be supervised! For more information, please visit From The Field.